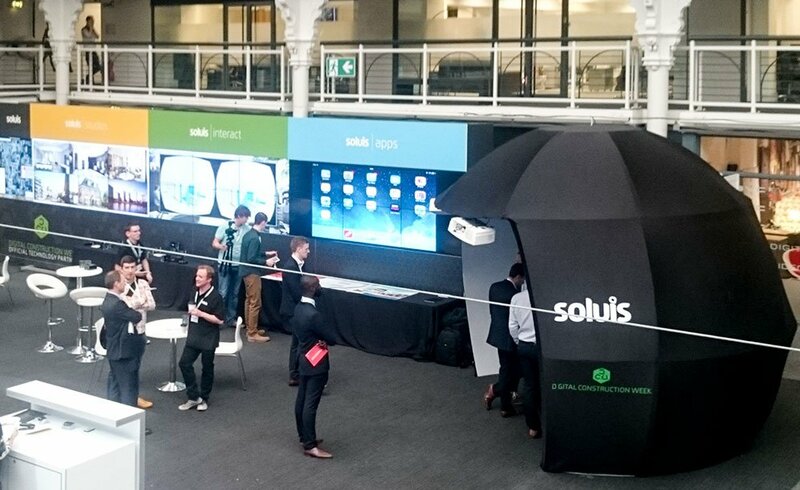 Soluis Interact is a specialised division of the Soluis Group which connects with the work of Soluis Studios to deliver fully immersive interactive environments. 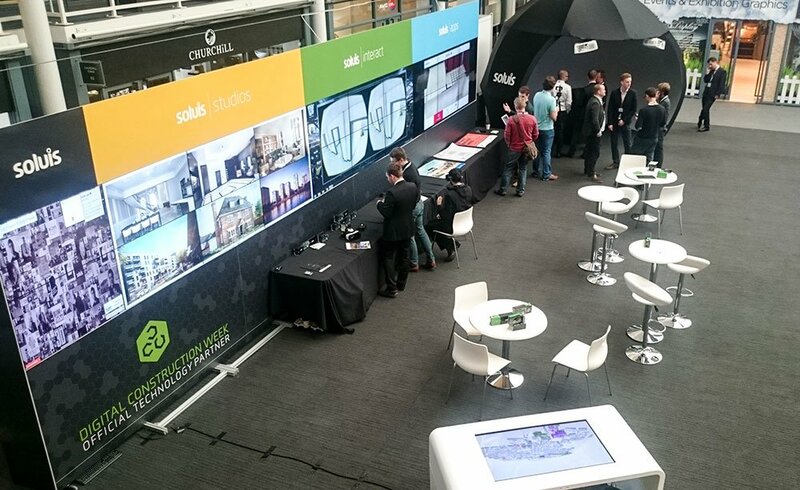 As part of their display at Digital Construction Week, at the Business Design Centre in London, Promultis installed a spectacular 20 screen video wall. 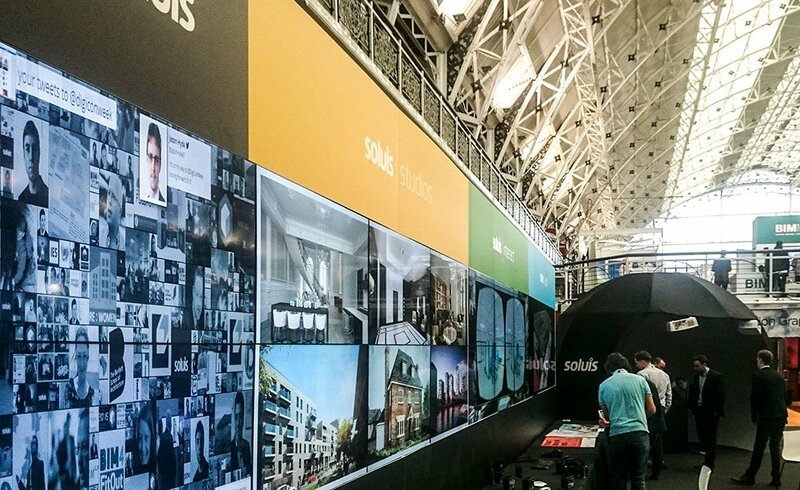 The Video Wall was designed to be the main structure of the Soluis stand. 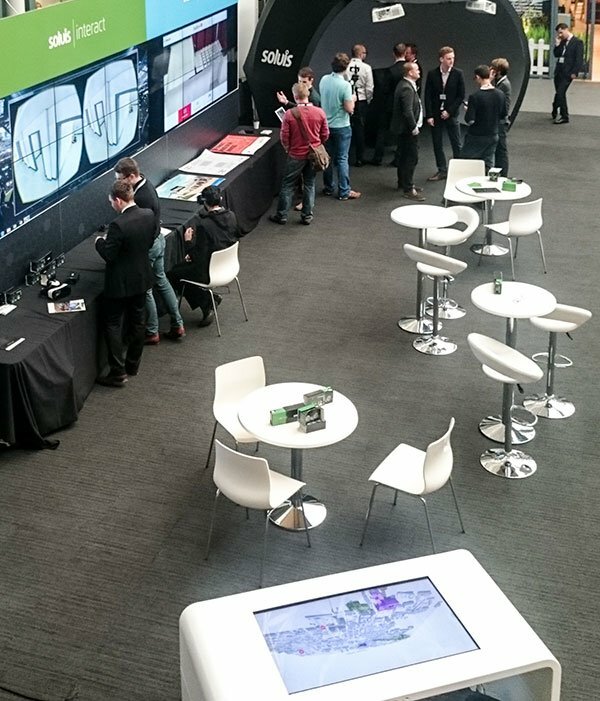 A Promultis table was also used on the stand as part of the Soluis presentation. I just wanted to drop a line and say thank you for everything at the show, everything went really well and our stand was widely remarked as the best in the show. Special thanks to the Promultis team for all their efforts in getting the video wall up, and back down again. Also for the specialist design work and we really appreciate how much the wall was customised just for us!